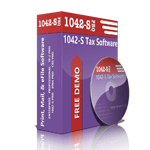 1042-S Software for Print, Mail, & eFile. 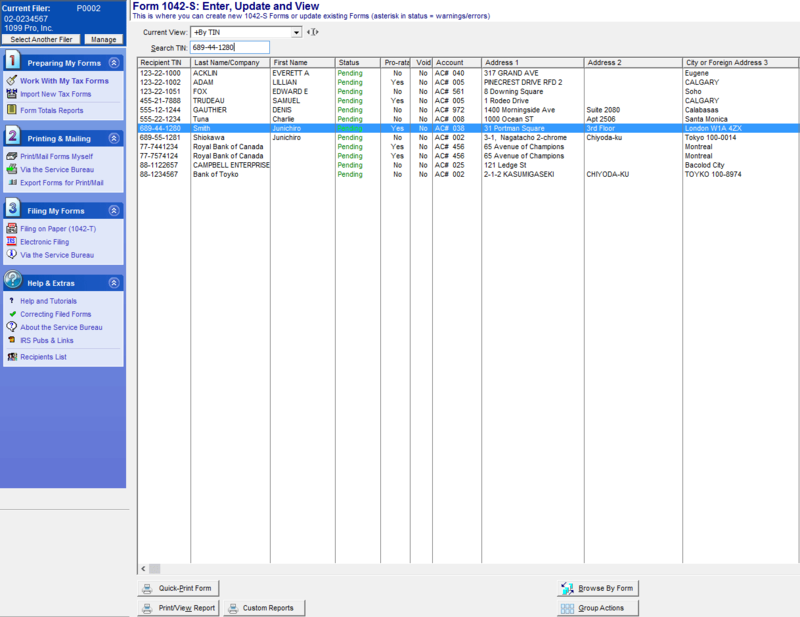 Our 1042-S reporting software is IRS approved for both IRS electronic filing via the FIRE site and paper filing. 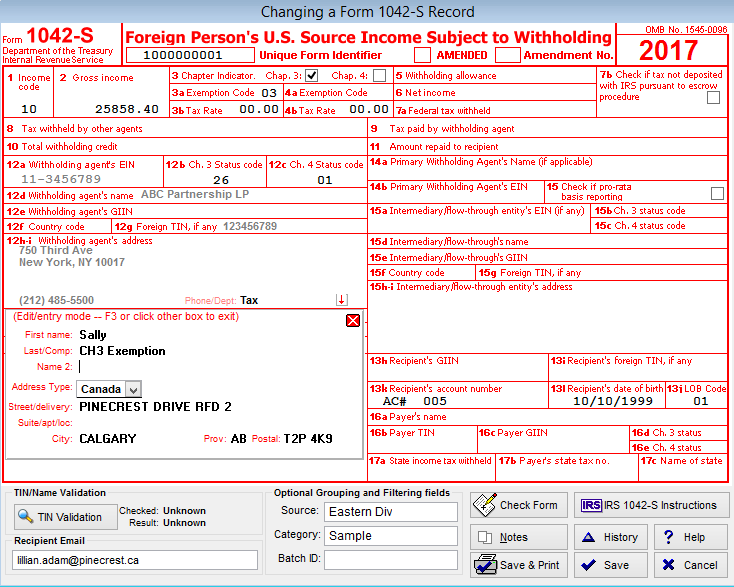 1042-S Professional's eFile Viewer allows IRS electronic filers to drag & drop IRS Publication 1187 files into the program for easy viewing of the data. 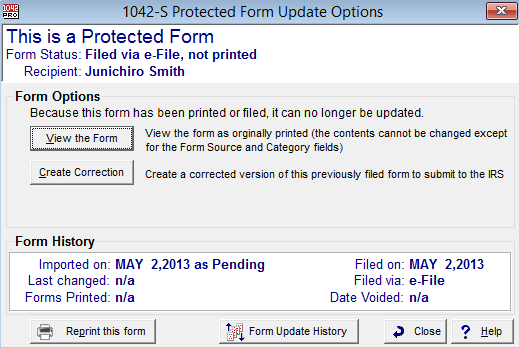 1042-S Professional supports both printed and electronically filed corrections. 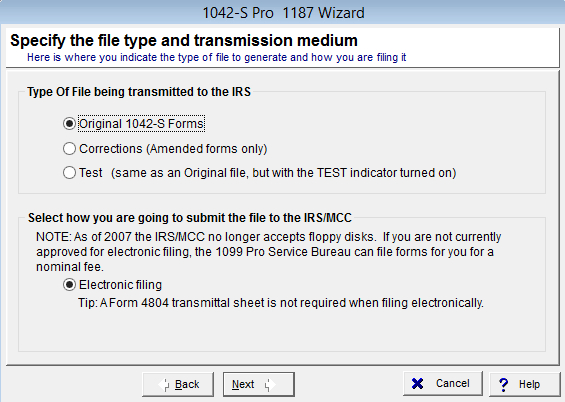 Simply select the record that needs to be corrected, enter in the corrected information, and 1042-S Professional will create the IRS corrections for you. The program automatically identifies one and two part corrections so that the user doesn't need to. Don't want report corrections on your own? 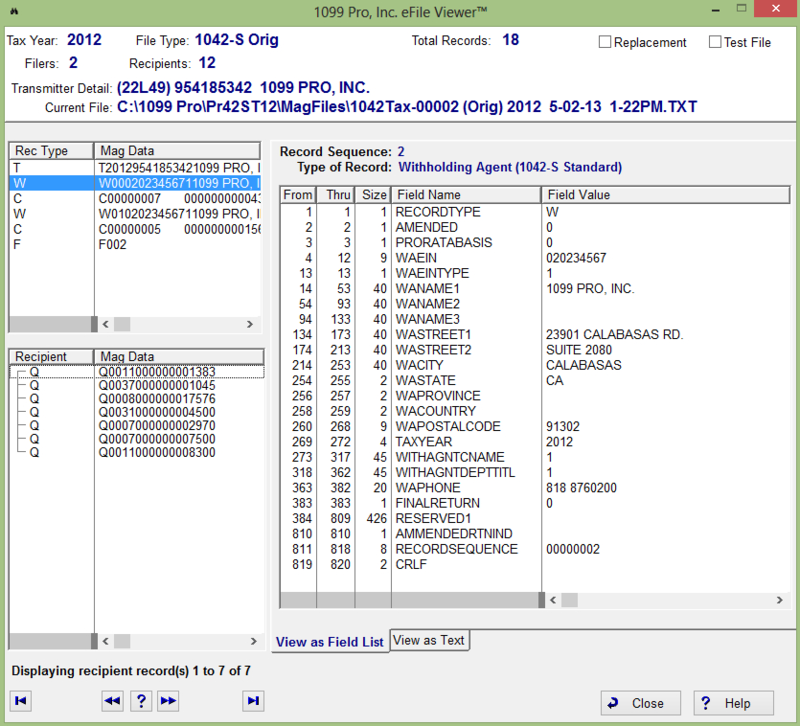 The secure 1099 Pro Service Bureau can eFile 1042-S correction for you! 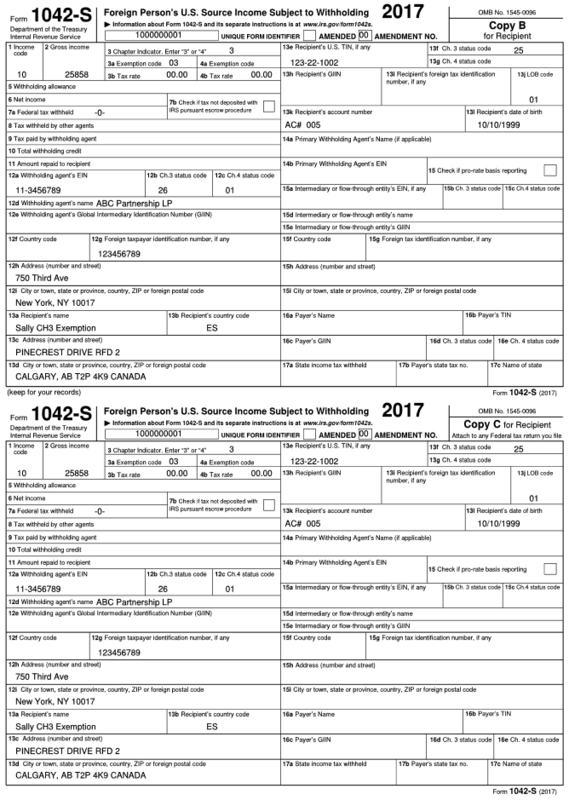 Learn how to file your forms on paper using the 1096 or 1042-T.
To download current and previous releases of 1099 Pro, visit host.1099pro.com. Close your software open the windows Start menu, located at the bottom left of your desktop. 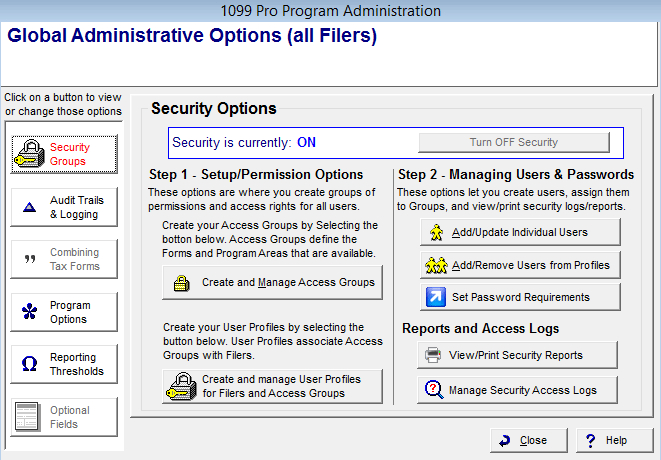 Go to All Programs and open your 1099 Pro program file. Click on Check for 1099 Pro Updates.